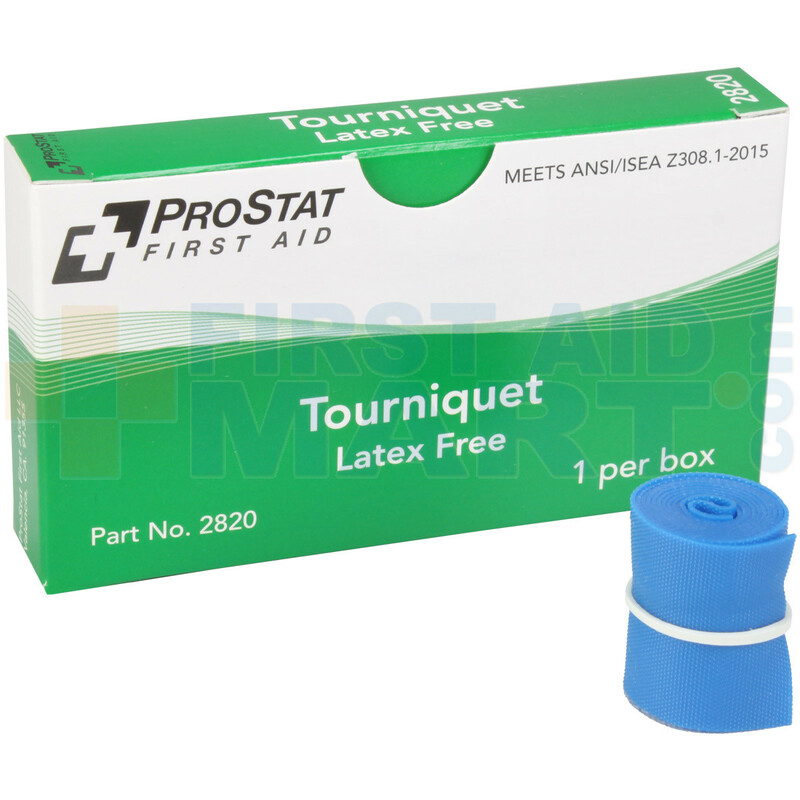 The single unitized box, that fits any first aid kit, contains one rubber tourniquet. 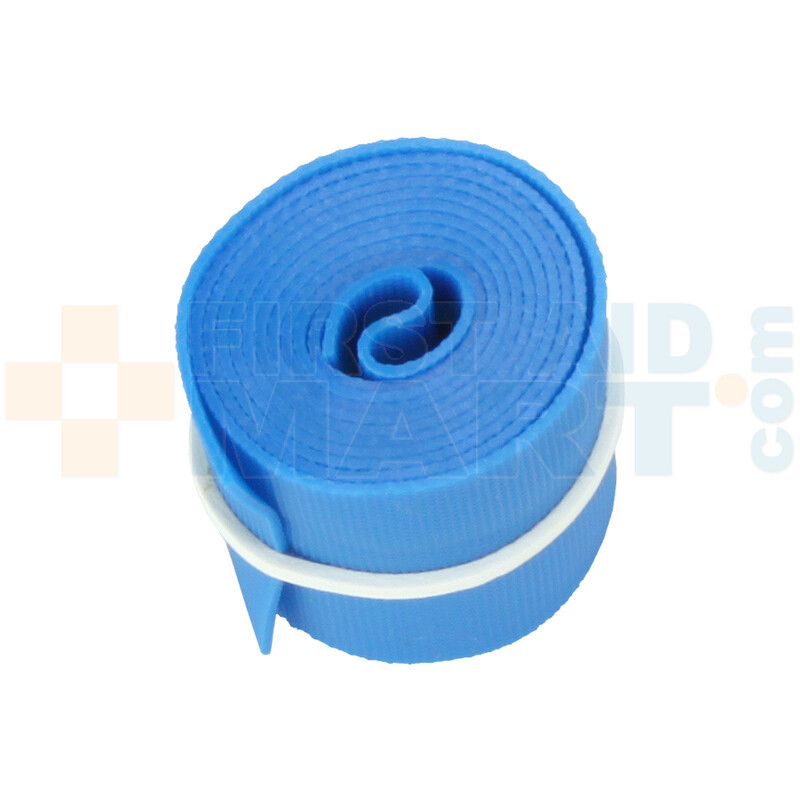 This tourniquet can be used for constricting or compressing to control arterial and venous blood flow to a portion of an extremity for a period of time. 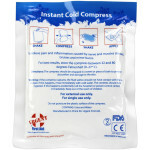 To be used stop hemorrhaging from injury to arms, legs, or other body parts. 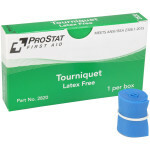 Remove tourniquet from box and unroll. 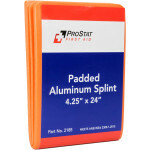 Place tourniquet 2-4 inches from wound site. Firmly wrap the tourniquet around the limb keeping the tourniquet as flat as possible & securely tighten. 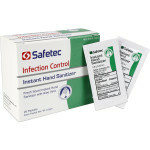 Once tourniquet is applied DO NOT REMOVE unless directed by a physician. Note the time tourniquet was applied. 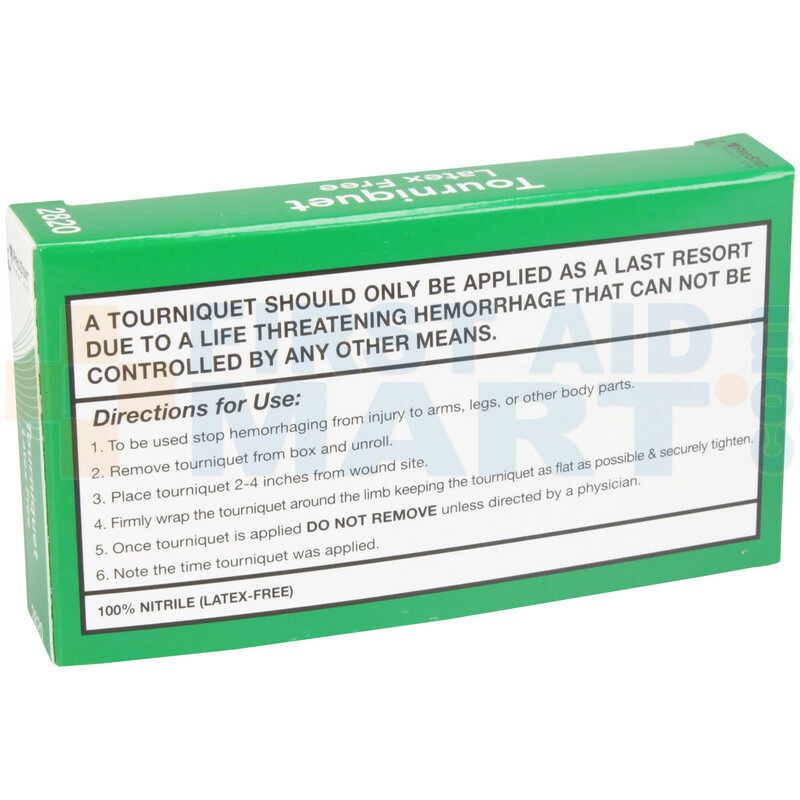 A TOURNIQUET SHOULD ONLY BE APPLIED AS A LAST RESORT DUE TO A LIFE THREATENING HEMORRHAGE THAT CAN NOT BE CONTROLLED BY ANY OTHER MEANS. 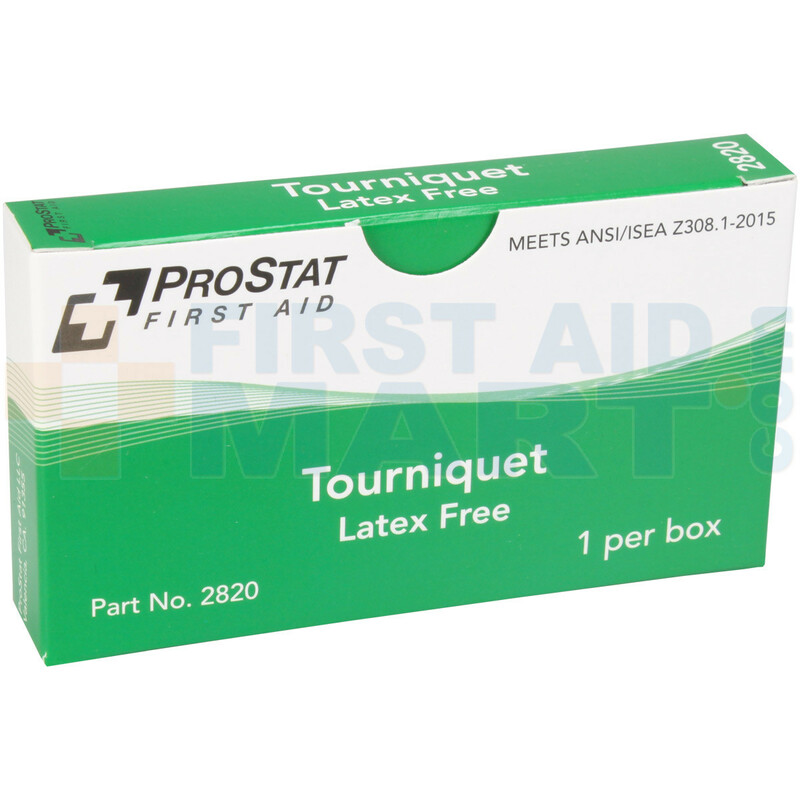 Tourniquet (Latex free) 1" x 18", 1 per box, 2820.